The speaker is Robert Muscat, recent Council member of the Society and secondary school principal with over thirty years in the education field. Robert joined the Australian Army Reserves in 1997 and served five years as a Rifleman in the RNSWR. 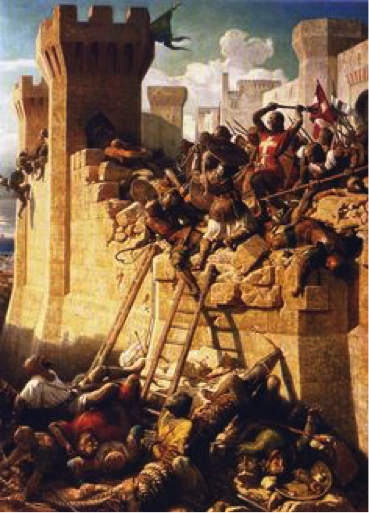 In 1565 Malta, which was the one of the easternmost bastions of Christendom, was attacked by the forces of Sulieman the Magnificent comprising of two hundred ships and approximately 40 000 men. In defence of the little island were 700 Knights of St John Hospitallers, with some 9000 men-of-arms, enduring five months of a gruelling campaign resulting in one of the most crucial sieges in history. Moreover, it was a contest of wills between the indomitable Grand Master Jean La Valette, supreme commander of the Knights of Malta, and the Ottoman commanders, Admiral Piali and Pasha Mustapha.